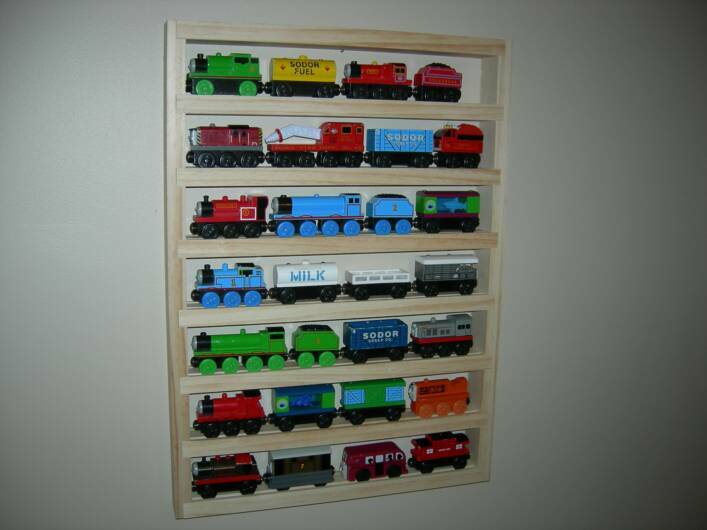 Need to store all those toy trains and decorate the walls of your little ones room at the same time?? This Train Rack is the solution!! The Train Rack is designed for your child's Thomas the Tank EngineTMwooden trains, ThomasTMTake Along metal trains, Chuggington or BrioTMwooden trains. It’s a wonderful way to organize all your boy or girls prize possessions. Your child’s trains are usually scattered across the room or stuffed into a box. Hang it up next to his/ her train table in the basement or in their room. It gives the trains a home and keeps things organized. The rack also prevents the trains from chipping and displays them in an artistic way. Eventually your child will get to an age where the trains are not top priority. Hang the rack in the their bedroom as an art piece. It will showcase their past and looks great too. The Basic Train Rack holds 35 cars, there is a Mega Train Rack that holds 80 cars and the new Ultimate Rack holds up to 90 cars! 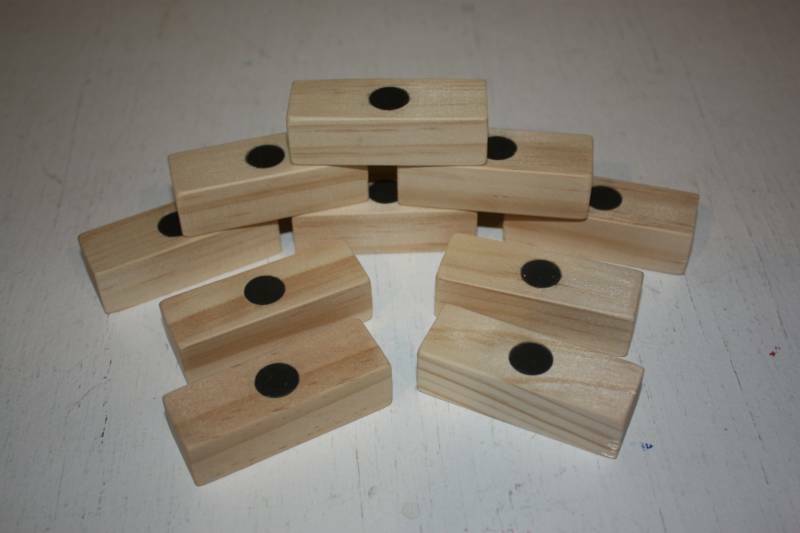 They are handcrafted in the USA out of high grade wood. There are 2 secure hooks on back for mounting and there are several different sizes to choose from. All products are 100% satisfaction guaranteed or your money back. 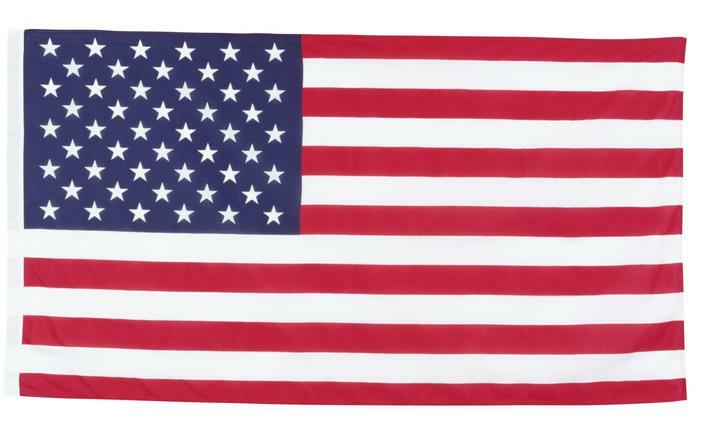 These Racks are made in the Good ol' USA! Click here to shop for the Train Rack the fits your needs! My name is Todd DePue and I want to tell you a story about how the idea to make these display racks came to me. I have two boys and they are 14 and 16 years old. 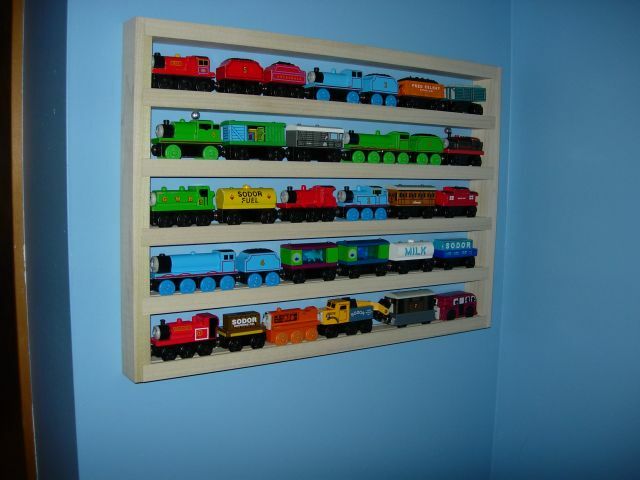 I always liked making things in my basement workshop and one day when they were young, I made a storage rack similar to the one shown here for my boys to put their Thomas the Tank EngineTM trains on so they could stay organized. It worked out quite nicely and it added a nice touch to the decor in the room. In my spare time I enjoy woodworking and I thought that I could make something in my work shop that I could offer to people who have kids like me but didn't have the tools or the time to make it themselves. 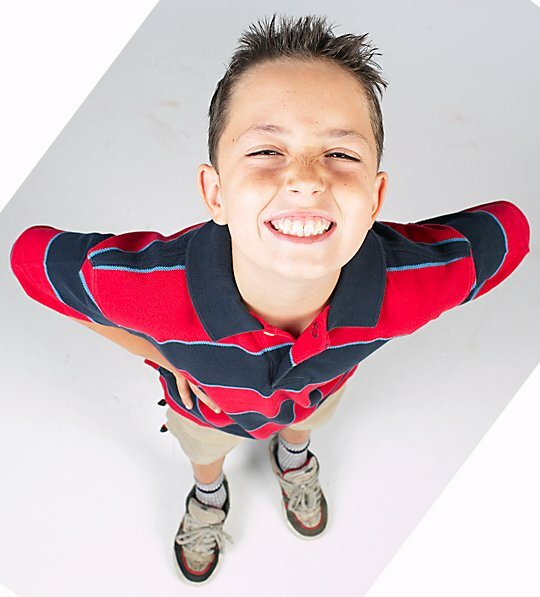 I am so proud of the product that I make and the best part is when I think of all the kids that are enjoying something that I designed and built myself. Selling this rack makes me feel great and I smile every time I send one knowing another great Train Rack is going to bring a smile to another kids face. 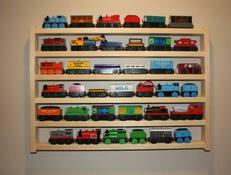 I have several styles and sizes of Train Racks to choose from in my Store. Also there are paintable replacement cargo boxes, a rack that holds Teck Deck Fingerboards and my Ultimate Blocks. 3 Basic Train Racks all lined up. The NEW Ultimate Train Rack lets Thomas show his face. Go Big or don't go at all. So 6 years ago, I started selling Train Racks and it has been a very rewarding side business. I lost track but I am sure I have sold well over 1000 Train Racks to date. When this all began, my two sons were 8 and 10. They were feisty little buggers. Fast forward to today and if you can apply the "new math" to this situation you will see that my oldest is now 16 and starting to drive. While this freaks me out, I see this a new step in him growing up. Wish me luck as I cringe when he leaves the driveway. Well this is long overdue. I have taken the popular Ultimate Rack and made some major improvements. The grooves on the shelves have been redesigned to hold the trains better in all positions. The spacing has increased to allow taller cars and trains to be loaded. The shelf was angled to "present" the trains better. The shelves are now held together with strong mortise and tenon joints to make it last a lifetime. I hope you will get one and enjoy it. Click here to get yours.